I marked passages that enthused me and so gathered a library that was annotated by triangular corner-folds and barely decipherable jottings. 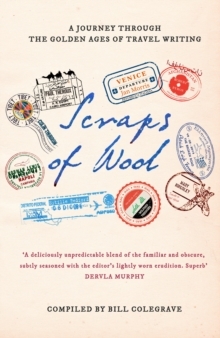 This was my own inadvertent wool-gathering... Scraps of Wool is a celebration of travel writing, bringing together in a single volume passages that have enthralled generations of readers, encouraged them to dream of exploration and set off on journeys of their own. 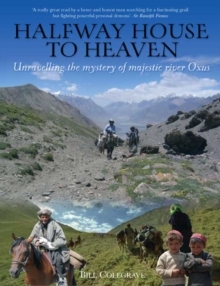 Compiled by Bill Colegrave, its excerpts have been selected by today's travel writers and journalists, who have revealed the books that influenced them: Dervla Murphy, Tony Wheeler, Rory MacLean, Pico Iyer, Jan Morris, Colin Thubron, Artemis Cooper, Sara Wheeler, Alexander Frater and many more. Each of these scraps is a document of the writer's passion for place - thick equatorial jungle, the soft ergs of the Sahara, Patagonian steppe - and each story, each memory will transport you to a different corner of the globe, and maybe even inspire you to plan your own great adventure.